From the deepest Seorak Mountain with our warmest heart, we invite you to a journey in search of yourself. Templelife is a program for individual and group participants. It is a program that leads you to experience the quiteness and culture of the mountain temple in a short period time. 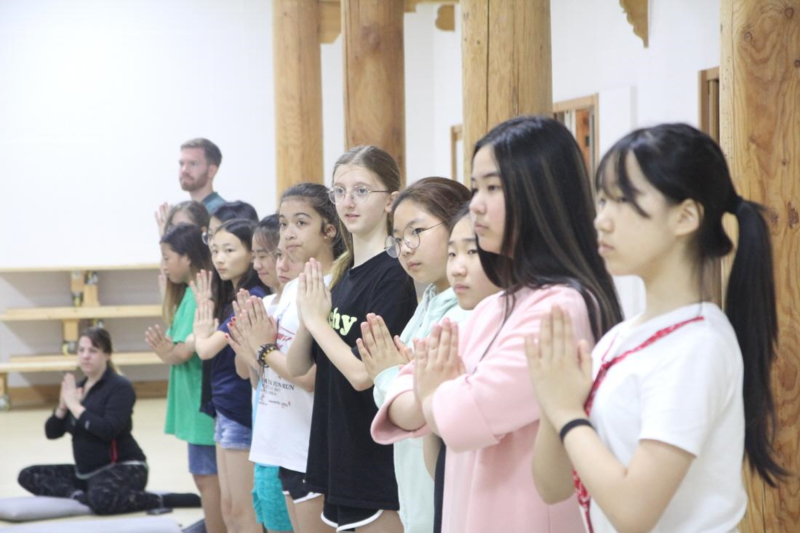 It will be a precious time to experience the Korean Buddhism tradition. Templelife in baekdamsa consist of two options to choose from: tea conversation with a monk /making lotus flower/stack a wishing stone tower. It is available from every Wednesday to Sunday from 13:00 to 15:00 or from 14:00 to 16:00. Please call 033 462 5035 for further inquiry. Toiletries, towels, hot water bottle and any warm clothes including a hat and globes if necessary. Baekdamsa usually have heavy snow in Winter and colder than other places in the S. Korea. * Please remember that a sleeveless shirt, flip-flops, and slippers are not recommended. * Temple uniform (a vest and pants), soap, toothpaste are provided during the stay. Please leave your contact detail with email address and tel. or mobile phone number. You will need to receive an email from us in order to confirm your booking. Please let us know if you need to pay by cash upon arrival. The payment is fully refunded if you cancel your booking prior to 7 days from the starting date. Please avoid drinking alcohol and smoking in the temple. Please turn off your mobile phone and leave it to the office during your stay. or walk up to here, which takes around 1 hour and half or 2 hours for 7km. Enjoy the peace with untouched deep mountain. Good luck!